Your “author platform.” It’s something every author hears about, and how important is to build one. Whether you’re a self-publishing or going the traditional publishing route, it’s an absolutely key component for any modern author’s success. 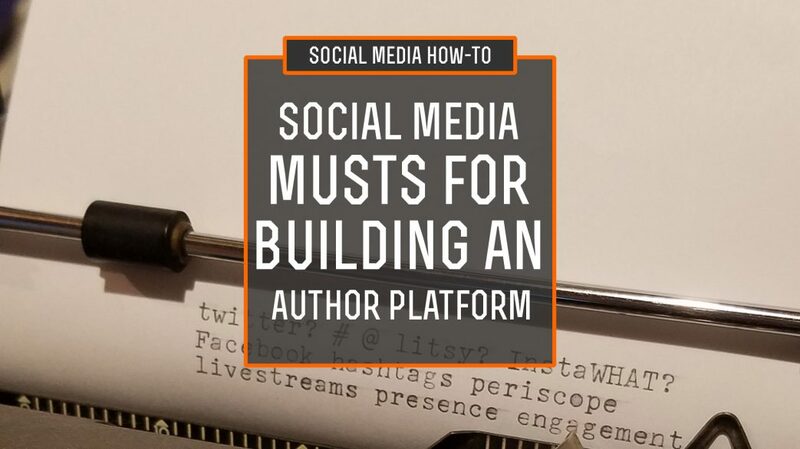 Now, there’s a lot of parts to building a successful author platform, including your website, blogging and guest blogging, author and book tours, live events, etc. – but in my experience the area where people seem to struggle the most to make sense of it all is in social media. It’s been almost 10 years since I published by first novel, and I’ve been a professional digital marketer (I’m the ex-CMO of one of the top-500 e-commerce companies and one of DMN’s Top 40 Under 40 Marketers for 2016) for almost 20 years. So yes, I’ve been around the block. But one of the most important aspects of my success has been in understanding the ins and outs and pluses and minuses of most digital communications platforms. I want to share what I’ve learned building a world-leading brand as well as my own personal platform with you. Be aware though that building your author platform alone can’t guarantee sales. For that to happen you’re going to need to write a great book that people want to read. The quality of the product and level of appeal to consumers are going to be extremely important in turning your platform into sales. I’m not a best-selling author … and mostly it’s because what I prefer to write isn’t quite in the mainstream. But what I have done is connected with thousands of other readers and writers and built a strong brand around myself as both an independent author and digital marketing expert. So, with all that said, there are a few absolute MUSTS that you should be doing with your social media when building your author platform, including a special section on what platforms you need to be on (and why), how to engage with readers and authors in ways that best work on each platform, and how to build your social media platform with strong cross-channel integration in mind. I originally wanted to share this via a blog post, but honestly there’s just too much information to share and it makes much more sense when I can walk you through it all. 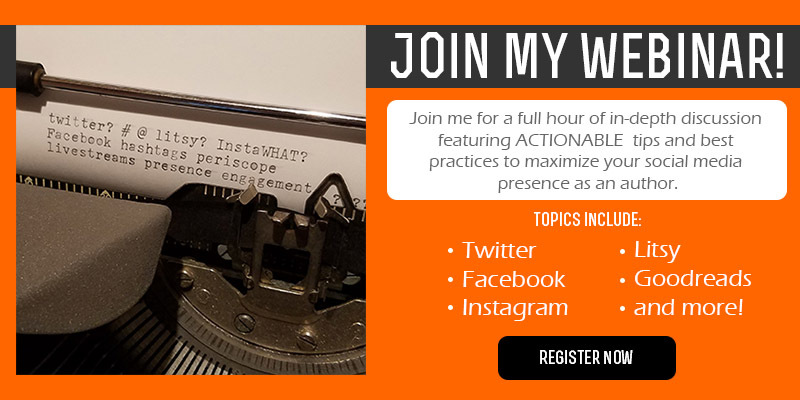 So instead I’ll be hosting a live webinar where I’ll go through this all, and even have it open for questions from the attendees so you go away with actionable tips specific for your needs on how to best grow your author platform using social media. NEXT WEBINAR: FRIDAY FEBRUARY 24, 2017 @ 12PM EASTERN!